Written by Tim Seeley. Art by Miguel Mendonca and Vicente Cifuentes. Cover by Casey Jones. 'BLOCKBUSTER' part three! Blockbuster's return to Blüdhaven has rocked the foundation of the criminal organizations and Nightwing stands in the middle of the chaos. 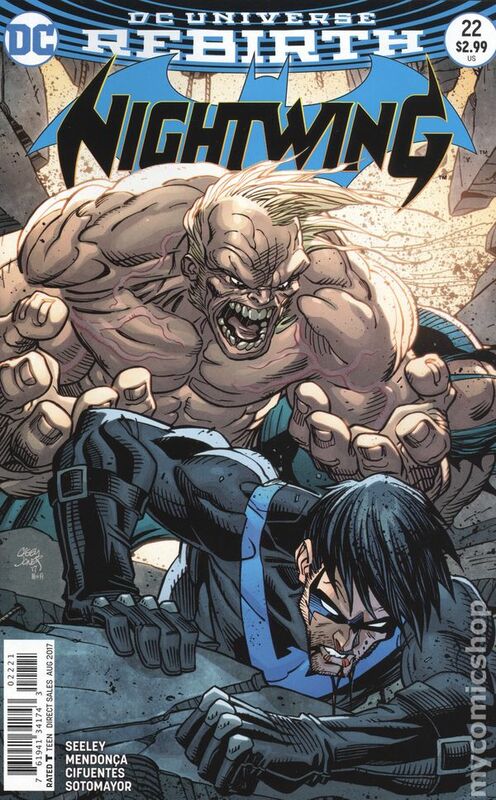 Nightwing has to stop Blockbuster from achieving his goal, but does Blüdhaven's newest villain have a plan to remove him from the equation? 32 pages, full color. Rated T Cover price $2.99.